40 - $133.99 Only 6 left! 42 - $133.99 Only 4 left! 44 - $133.99 Only 5 left! 46 - $133.99 Only 2 left! If summer had theme music, then this Tropicool OppoSuit would be the thick beat, making everyone and their mama shake their booty. This suit is a blazing sunset after the most amazing day of a man’s life. If clothes were cars, this would be a drop top convertible. What does that all mean? Well, if we have to explain it to you, then you probably wouldn’t get it and this suit is for those that get it. Got it? Good. 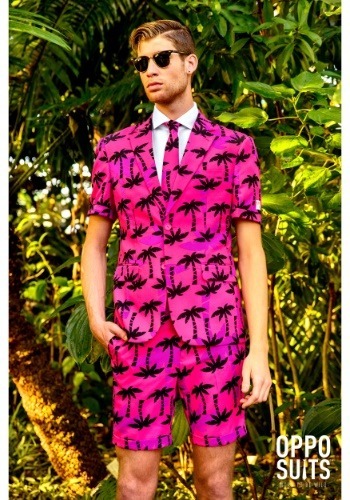 This suit comes with a short sleeve jacket, a pair of shorts and a tie. That means it lets you feel the ocean breeze as you walk across the Miami boardwalk. 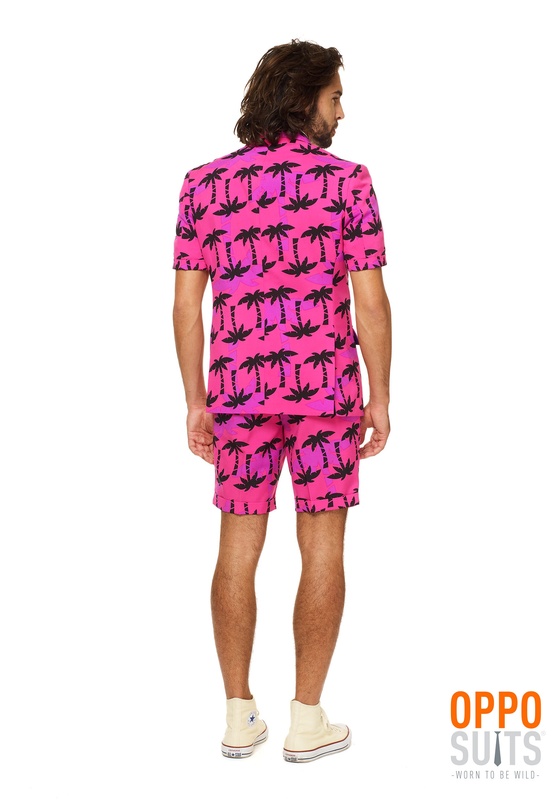 All the pieces are drenched in hot pink style, with an intensely cool palm tree print. That means you never go unnoticed in the night club. 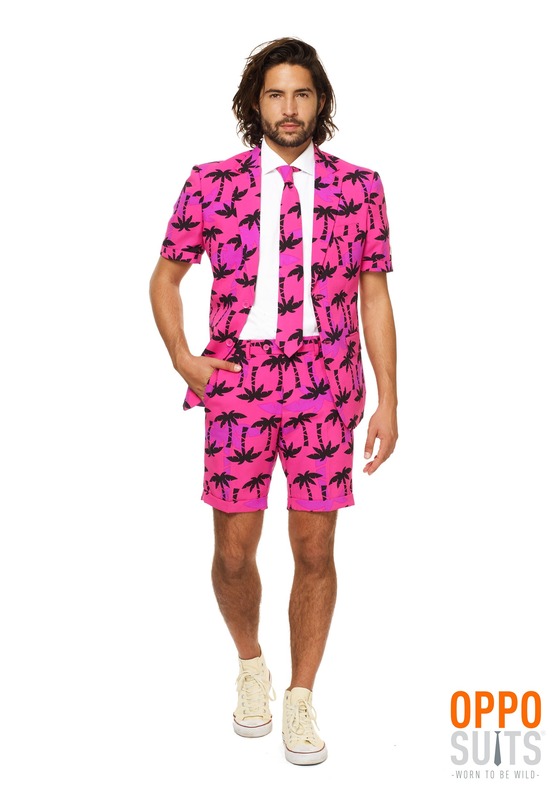 When you wear this OppoSuit, you tell the world that you’re a man who takes it easy, but never turns down a chance for some excitement in a summertime scene. Kick back, or kick it. It’s your choice. So, what do you say? Are you ready to claim your mantle as the King of Tropicool?